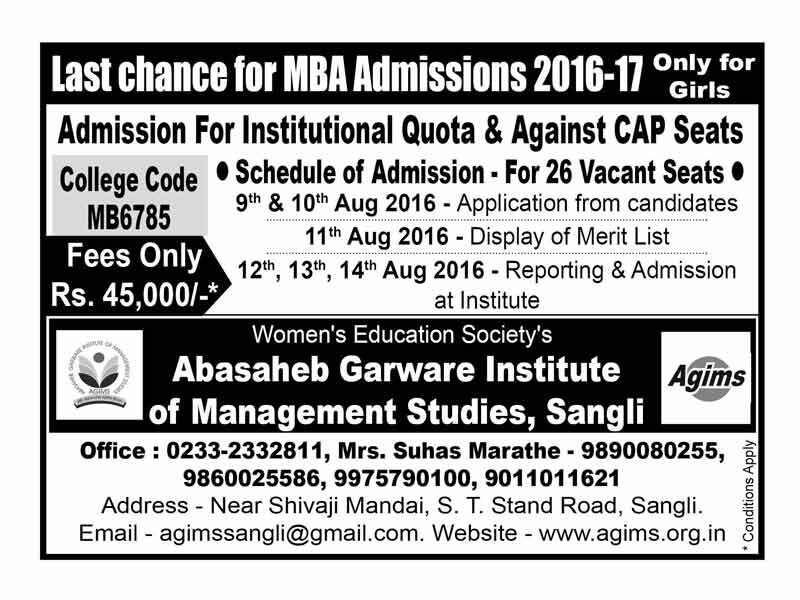 It gives me immence pleasure to announce the MBA programme only for women, the first of its kind in this region. In the fast changing and moving world, I believe the woman should be well armed to face challenges or changes that may come their way. Higher education will help them develop their personality and the professional courses will enable them to enter into corporate world, full of challenges. And when faced with challenges to be superior. I take this opportunity to appeal to the qualified young grils to join our institution for better facilities and opportunities.